Merci! Thank you for feeding back. hope you'll enjoy these tunes too! The latest mix opens with a track from my US friend, the very talented Greg Watson. Here is the July edition of my podcast. Want to give my friend Nick credit for bringing the Jonathan track to my attention - a great find. Also would like to mention that if you love the sounds of Fountain Delano, most of his self-produced recordings (including the ultra-soulful track featured in this mix) he has chosen to make available as free downloads via his Podomatic channel. Hope you enjoy the music folks and hope you will all have a great summer! Hope you've had a great summer. Offering you a new mix featuring 80 minutes of top soul music favourites. Hope you enjoy the sounds! Happy New Year all forum members! I hereby offer you 2 hours of quality modern soul. Several hours of music on offer here in mixes 100 and 101 - enjoy folks!!! Another 3 hours of carefully selected soul music for you! Sun and soul. Here is my latest episode. Here is the July edition of my podcast. Here is the most massive mix to date featuring three hours and a half of soul music galore! Here's a new mix featuring more than 3 hours of soulful sounds for y'all to enjoy! Been digging deep in my collection again and have come up with more than 3 hours of soul music for ya! Here's my latest mix spanning 50 YEARS OF SOUL MUSIC: 1966-2016! 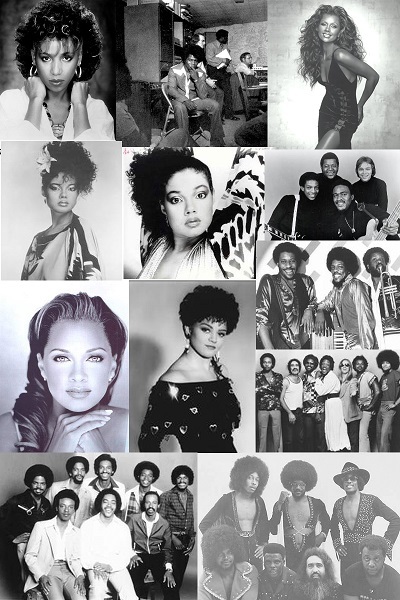 Here's more quality soul music carefully selected for your listening pleasure.